Lillypost included this little note that introduces their new coloring contests. Kids can draw directly on the box and incorporate Finnley the Fox into the monthly theme, then share it on social media for a chance to win a prize. This month’s theme is In the Ocean and I love that they included some fun facts too! This is a cute little board book with some nice illustrations and a wavy tab edge which will appeal to little fingers. Based on the cover of this book and the great colors, I thought that we would love it, but I was a little disappointed with the content. It does have high contrast images to appeal to babies and a lot of the illustrated items are things my son loves like dinosaurs, lions, and crabs, but I could not figure out what the exact theme of this book was. When you open it the two pages seem to go together, but as a whole, I could not make a connection between dinosaurs and lions to t-shirt and pants. They all felt very random. A cute book, but not one that I would rush out and buy on my own! This is a story about Circle and Square who have been best friends for a long time. Then, the new kid, Triangle, shows up and both of them spend all their time trying to impress him, which eventually starts to affect their friendship. In the end, Triangle finds a way to repair the friendship by sending them letters (Love, Triangle) inviting them to his house. Too cute! My kids and I enjoyed reading this together with the colorful illustrations and fun concept of friendship between shapes. This story was my favorite of the bunch this month! Such a cute story about a little bird, Bertie, who decides that it’s about time that he learns to fly. Just as Bertie gets ready to go he is interrupted by various other birds who give him some input that turns out not to be so helpful since they are specific to the type of bird they are. In the end, he learns that he can fly just fine on his own without all of the extra help and tips. Verdict: This was not my favorite Lillypost box this month, but we have received some great ones in the past, so the bar has been set pretty high! The book that really stands out to me is the Bertie book- the vibrant illustrations and fun content have me wanting to read it again. My kids were happy with the other books that we received, so I’d still call this box a win! The total retail value of the books came to $41.89 (less with sale prices), and the cost of the box was $24.90 ($19.95 + $4.95 shipping). 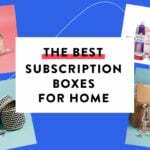 That’s a great value for the books we received this month! 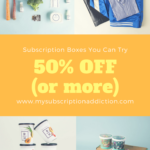 Coupon – Use code MYSUBSCRIPTIONADDICTION to save 10% off any 3 or 6-month subscription!